We connect residential and commercial customers with licensed, bonded, and insured trenchless pipe lining professionals and experts for FREE. Fill out the form below to get connected with the best trenchless pipe lining experts in your area. Trenchless pipe lining refers to lining existing pipe with a brand new, extremely durable and impermeable surface layer. The pipe lining process makes old and decaying pipes like new and costs only a fraction of most other pipe restoration processes. Sometimes savings of up to 30-40% can be had by using pipe lining. Pipes must only maintain 20% of their initial integrity for pipe lining to be a potential option for pipe restoration. Cured in place pipe (CIPP) lining causes little to no distraction when completing the process and again prevents having to dig trenches to repair piping. First, the pipe is cleaned using high pressure water. 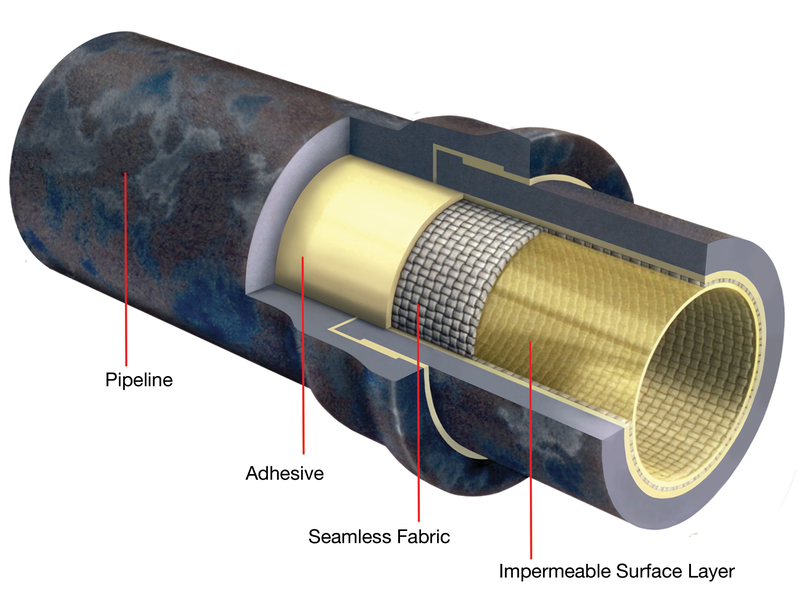 Then, a fiberglass sleeve is inflated with water or air and the liner is inserted into the pipe and turned inside out using air pressure allowing the resin to connect with the existing pipe. From there, our provider will provide a hardening agent to the newly cured pipe. Like many other trenchless pipe restoration services, pipe lining should only be performed by the best pipe restoration experts in the industry. Providers should be licensed, insured, bonded, experienced, and vetted. What type of structures can benefit from trenchless pipe lining? Only three EASY steps are between you and getting your project completed. Contact us with your project information and we will get started finding you the best expert for your trenchless project. Speak to specifically selected experts that are licensed, bonded, and insured to complete your trenchless project. Choose the provider that you are most comfortable with and that fits your budget and project requirements. And the best part…our service is absolutely FREE.